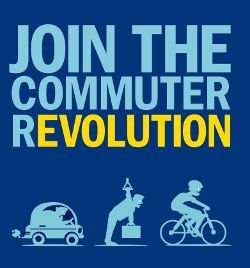 Have you thought about starting to ride your bike for the commute to work? Or do you want to celebrate the fact that you are already riding to work? Either way, why don’t you register for Ride to Work Day and join with thousands of other commuters across Victoria riding their bikes to work on Wednesday October 13th. Ride to Work Day is co-ordinated each year by Bicycle Victoria. Participants register with Bicycle Victoria to build the case for improvements to infrastructure for cyclists by being counted. In addition, registered participants have the chance to win prizes. The City of Greater Geelong will be hosting a community breakfast for Ride to Work Day participants. This is a free breakfast in Johnstone Park between 7.00 am and 9.00 am. Free bike ID engraving will be available. Festivities will include give-aways and entertainment. BUG representatives will be in attendance. Workplaces can also register a workplace BUG (bicycle user group) to promote and organise Ride to Work Day for their employees. A number of Geelong region workplace BUGs have already registered.